The new EZ Tube Extend is a tubular frame system, where frame sections fit together to make the shape of the display. 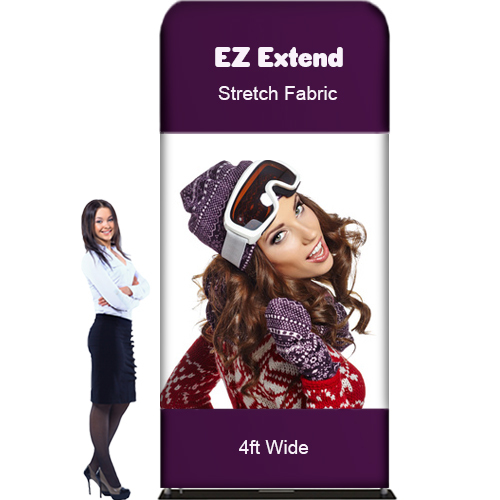 This new extendable system, gives you the opportunity to extend your display to a larger size. The fabric banner stretch graphic is a pillowcase banner that fits snugly over the frame to create a seamless and eye catching display. The display is 4 ft wide x 9.5 ft or 10.5 high depending on the graphic option selected. Shipping Dimensions: 51" x 11 " x 4"